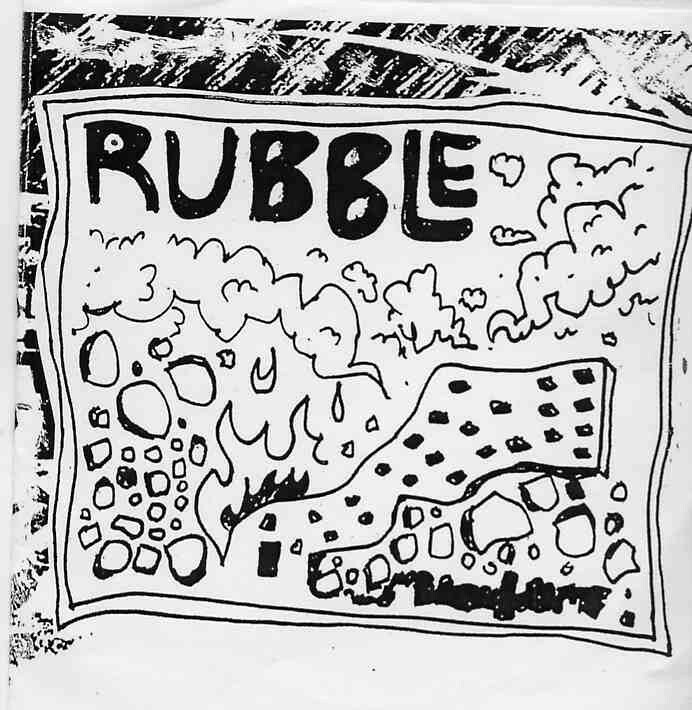 Rumble and Baby Robots are Texas based bands with common member Bobby Baker. Most of this music is instrumental. The Rumble stuff recorded in August 2006 and is 8 tracks in 34 minutes. The opening track (no track listing to be found) starts very noisy but develops into a really psychedelic rock song with the spaced guitar leading the way with the other instruments mixed more in the background. Track 2 features some vocalization deep in the noisy soundscape as the guitars roar and search for peace, they will never find. Track 3 starts as laid back psychedelic haze going in and out and with some violin playing. Track 4 is a short fast assault with some crazy horns and Stooges like guitar attack. Track 5 gets totally spaced out and is very stoned before bursting into a psych rock guitar monster. This is for sure the coolest piece on the CD. Track 6 uses some effects on the sound that trip you out a bit to start but is a nice psyched out piece of music but you feel like something bad is going to happen… Track 7 is a short rock song with real vocals and quite cool.. raw stuff.. The CD ends with a very psychedelic piece. Strange but really cool music..